Running a race abroad or in another city is a decision you won't never regret. It is the perfect excuse for a holiday, to discover a new area or country. As this post goes live, I'll be on a train heading to Boston (in the UK!) for my third marathon. This is the ultimate checklist for your overseas race and to get you ready for the starting line. Getting ready for a marathon or other race away from home is harder than a local race as it's best to pack for all possibilities. If you forget a piece of kit, this could affect your performance on race day. 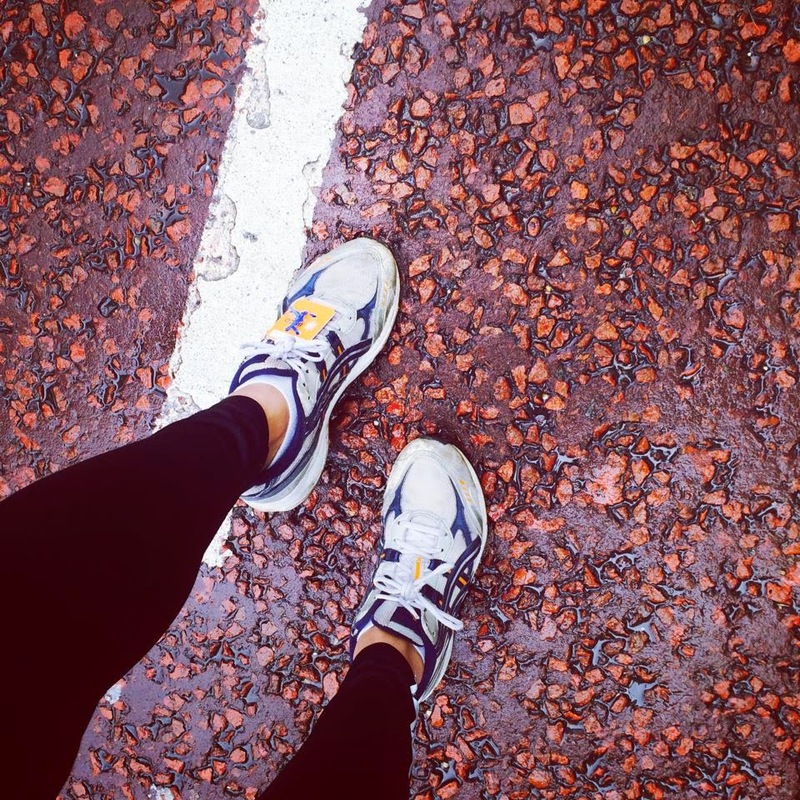 I love checklists, and with two overseas marathons under my belt, I thought I'd share with you the checklist that has got me through both them and my third marathon away from home. What do you like to have before a long run? The above three are what you may need for collecting your race bib at the expo. Check your marathon's website to see what they want for ID. I like to go to the race in my kit, with a pair of loose fitted joggers over my shorts or leggings. It gets me into the race vibes. I take these off just before I go the bag drop off. Underwear - seriously, comfort is important during any long distance event, and even the right underwear (or no underwear) can help. Wedgies, potential chafing, you don't want that to happen. Pack your favourite boxers or briefs. Check the weather forecast and pack for the different weather possibilities. In Hamburg, I wore shorts to the start line, then realised I was too cold, so swapped with a spare pair of capri leggings. 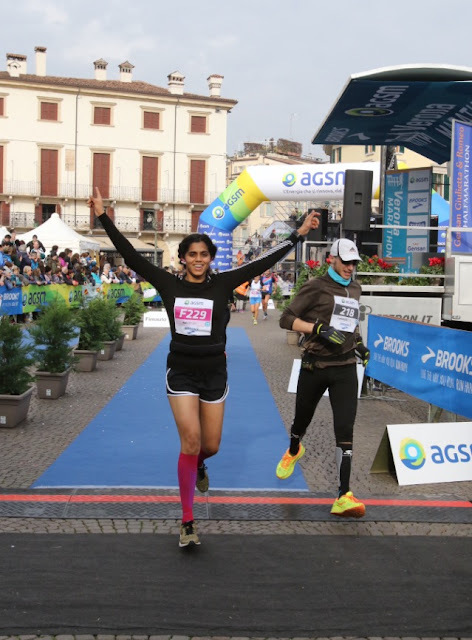 In Verona, I wore capri leggings to the start line, then realised I was too warm so swapped for shorts! Trainers. Pack these in your hand luggage - this is the one piece of kit you don't want to lose. Race belt. See below for what to pack in your race belt. I have two running belts - one that I train with and one that I wear on race day. The main difference between the two is that the training belt can hold bottles. My race day belt is the Flip Belt. It does make my waist look chunky, but the belt holds so much, feels light and is comfortable. Sometimes, functionality over design just overrules. Race fuel. For me that's baby food. For a long time now, I've preferred fuelling on alternatives to gels. If you are packing this in hand luggage, from my experience, baby food passes through airport security. After the marathon you may be feeling peckish. Pack a snack to munch on before you get a big meal. My favourite post race fuel are the the Trek chocolate bar or the Chia Charge flapjacks with sea salt. Ahh these taste so good, especially with a hot drink. So you've ran the marathon, ate a big meal, and you're probably feeling a littt-le bit sore. If you have a particular way of recovering after a marathon, pack those. 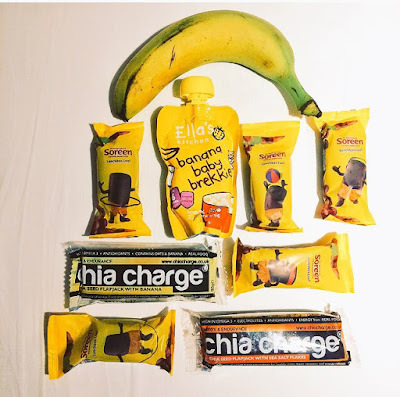 Below is what I pack in my race bag to use after the race as they are small, light and easy to use. Magnesium oil. If I'm with someone, they'll usually apply it on me! If anything does disappear or go wrong, don't panic. Marathon expos contain a selection of running brands stocking everything you need for your race, so you can always pop in to buy whatever you need. Marathons will also have fuel stations, so if an issue does arise with your race fuel, you can always turn to them. That's my ultimate overseas and race-away-from-home checklist. I like to compartmentalise it all into individual packs that I pack into my luggage so that on the race day, everything is easy to take out. I hope this list has been helpful wherever you are in the world. Good luck and enjoy your marathon, wherever you are running.